Abraham sits on golden clouds in Paradise, with the countless stars of the heavens behind him. In Chapter 22 of Genesis God promised him that his descendants would be as numerous as these stars. Jews, Christians, and Muslims all consider Abraham to be their father in faith, and a throng of these children crowd onto his lap. 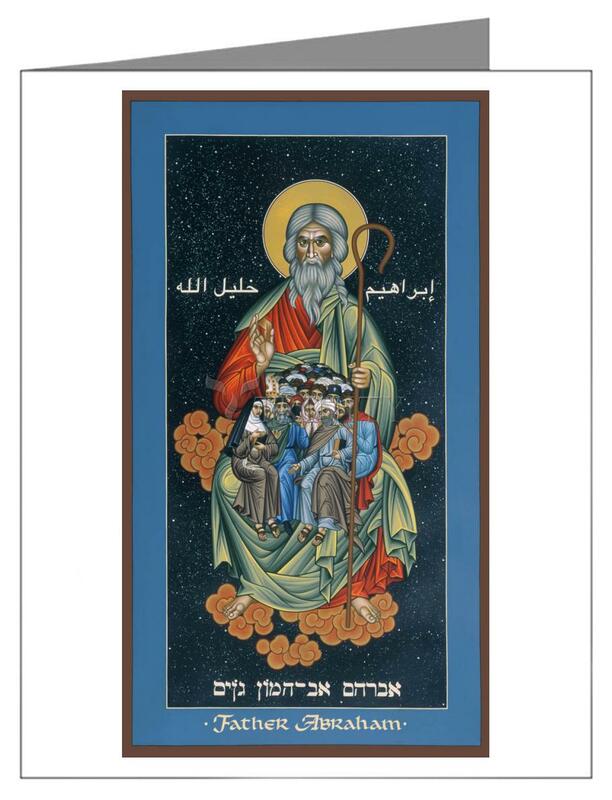 The Arabic Inscription reads, "Abraham, the Friend of God," which is how Muslims often refer to him. The Hebrew inscription is taken from Genesis and reads "Abraham, the Father of many Nations."